Mattress toppers in new-unopened, unused condition can be returned for a full refund. 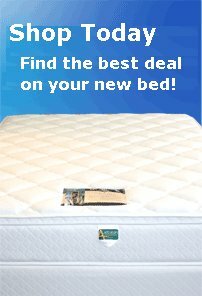 Once used, a mattress topper cannot be returned or exchanged (as it is considered bedding by law.) Mattress exchange policy may apply for our mattresses. Please call us to learn what exchange options are available to you. Natura, Sleep Tek, Savvy Rest, Pure LatexBLISS, NexGel and Suite Sleep are all custom made to order products, thus are ineligible for exchange or return.